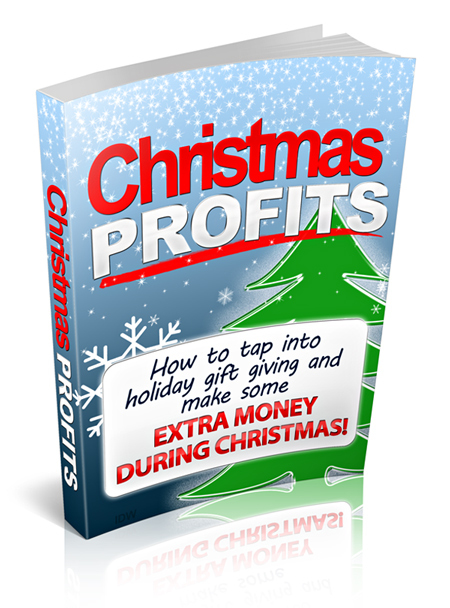 Make Some Extra Money During Christmas! For many people, the holiday season is their favorite time of year. There are festivities and parties, special times with family and friends, and a general spirit of excitement in the air. Of course, getting and giving gifts adds to the fun. But the holiday season is also stressful for many if not all of us. The number of things that we have to accomplish in a day seems to rise exponentially as we get closer to Christmas day. Busy and even frantic shopping can lead to tension and frustration as people try to get the right gift for the right person. So while there is a general atmosphere of holiday cheer, there is also an underlying pressure to get all of these things done on time. In increasing numbers, people are turning to the Internet to help them save time and effort in their Christmas shopping. Yes, in one sense it's fun to be out on the streets or in the shopping malls, looking at all the festive displays and participating in the atmosphere of the holidays. But more and more, people are discovering that they can get all of their shopping done online without having to battle traffic, long lines, frustrated fellow shoppers, and overworked store clerks. The Internet has completely changed the Christmas shopping experience. It will never totally replace the brick-and-mortar retail shops – nor should it – but the convenience and efficiency of shopping online has definitely taken hold for many people. Just think about it: do you really enjoy driving around or stuck in traffic, standing in line at retail store, or worse, arguing with a fellow shopper over that last remaining item that your child absolutely must have? Or would you rather be sitting in your pajamas at home on your sofa, sipping hot chocolate, and browsing the Internet? I know what the answer would be for me!